Do you ever wonder how hot you really are? Sure we pretend like it doesn’t matter, but deep down we still want to look our best. 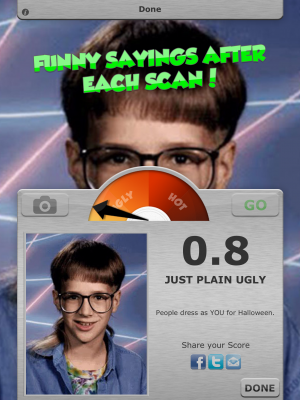 Ugly Scan uses advanced facial scanning algorithms including a build in Retina Scan to scan your face and rate your hotness level. 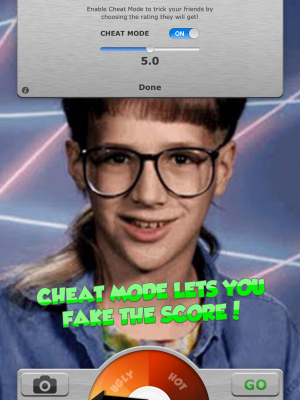 Score a perfect 10 and you’re HOT, score a 0 and you’re NOT. 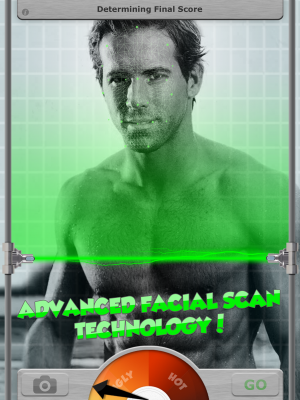 Ugly Scan works best on forward facing full face images. Side shots or diagonal images may not rate as accurately.